Optoma, a Fremont, CA-based manufacturer of video and audio products, has unveiled its ZW300UST laser phosphor, ultra-short-throw projector for the education market at the Future of Education Technology Conference this week in Orlando, FL. Designed specifically to meet the needs of the education industry, the ZW300UST combines a laser light source for virtually maintenance-free operation with high reliability, flexibility and image quality, according to a news release. In addition to the new ZW300UST Optoma displayed an interactive laser curtain with the Optoma EH320USTi projector at FETC. 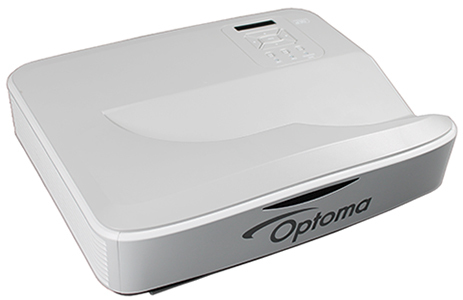 This ultra-short-throw interactive projector is available now for an estimated price of $1,999 through Optoma authorized dealers. Optoma has been exhibiting this week at FETC in booth 1353. For more information, visit Optoma’s website.